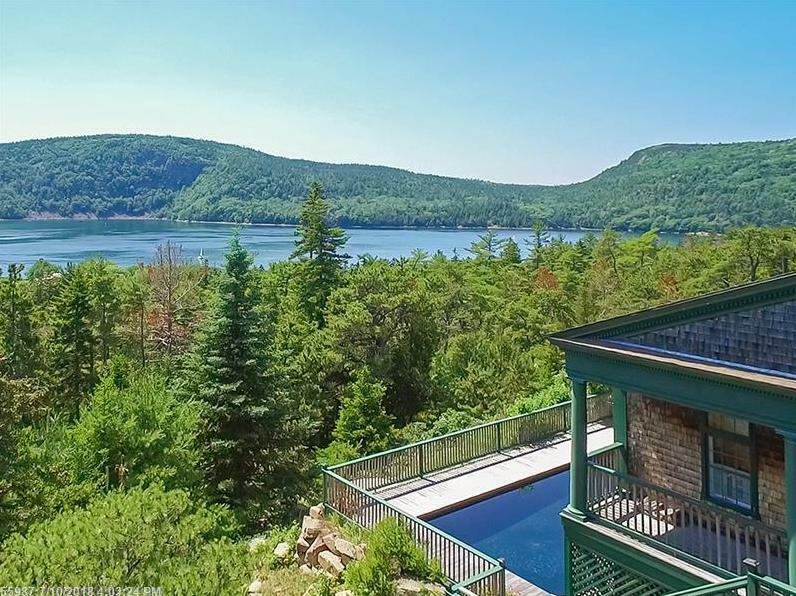 The views of Somes Sound from this year-round residence high on Norumbega Mountain are superb. The property abuts Acadia National Park; the designer house features an open floor plan, Master wing with office, 2 fireplaces, 3 guest bedrooms, 5 baths on the main floor with an additional guest room, 2 half baths, and a double shower room on the lower level, just off large sunny open deck and heated outdoor swimming pool, all on 4+/- acres of serenity. The light-filled main floor contains all living quarters and is complemented by a spacious lower level open room opening to the pool. Sumner House is a luxurious, airy retreat for all seasons with wide, wonderful westerly vistas of Valley Cove and mountains. 73 Sargeant Dr, Northeast Harbor (MLS #1360340) is a shingle style single family home located in Mount Desert, ME. This single family home is 4,306 sqft and on a lot of 174,240 sqft (or 4.00 acres) with 5 bedrooms, 7 baths and is 23 years old. This property was listed on 12/07/2018 and has been priced for sale at $2,100,000. Nearby zip codes are 04625, 04653, 04660, 04675 and 04679. This property neighbors other cities such as Bar Harbor, Cranberry Isles, Franklin, Southwest Harbor and Tremont.